Do you enjoy heading out into the Great Outdoors during the warmer months – but hate having to apply and re-apply sticky, greasy, smelly sunscreens and insect repellents to your skin every few hours? Fortunately, there is another way! Whether it’s camping, hiking, fishing, or just gardening in the backyard that you enjoy, then we have just the product that will enable you to enjoy these activities unmolested by biting, disease-carrying insects and the scorching rays of the sun. Mosquito net hats and head nets are a great means of protecting you and your loved ones from these twin perils, that also offer an alternative to chemical sunscreens and insect repellents. Read on as we explore what these products are, their many benefits over conventional insect repellents, and the things you have to consider before purchasing a mosquito net hat or head net that is suitable for yourself. 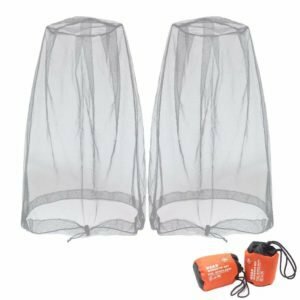 Last but not least, we take a look at what in our view are the best mosquito nets and head nets currently available on the market, in the hope that the task of purchasing one of these devices for your family is made a bit easier. There are actually two different devices included within the category of products considered in this article. First of all, are mosquito hats – which take the form of a conventional, wide-brimmed sun hat composed of UV-proof material (usually polyester) that offers comprehensive protection from the rays of the sun; but have the additional feature of mosquito netting that is sewed into the brim of the hat. The mosquito netting can be unfolded into the brim of the hat, and packed away again, at will. Mosquito hats offer you the choice of a normal sun hat on its own, and a sun hat that also has attached to it mesh netting to protect your face, neck, and ears from mosquitoes. 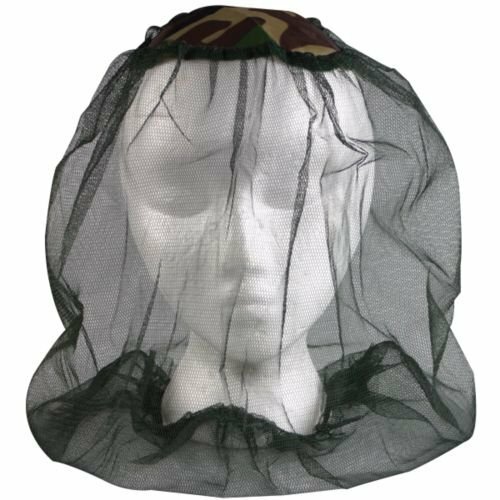 Mosquito head nets, on the other hand, are stand-alone sheets of netting that need to be fitted to a separately purchased hat. They work the same way as the mosquito netting that’s attached to mosquito hats: a finely woven, mesh style fabric containing tiny little holes that allow air and visible light to penetrate it, but are too small for bugs to get through, covers the face, arms, and neck of the user and thus protect them from mosquitoes and other airborne insects. As already discussed, the major benefit of mosquito hats and head nets is that they offer an alternative, non-chemical means of repelling unwanted and dangerous insects when you are out enjoying the Great Outdoors. 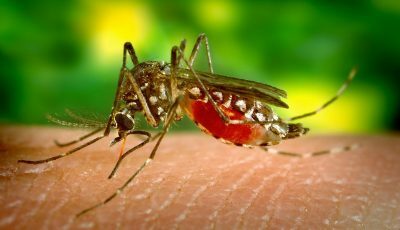 Spare yourself the mess of greasy, sticky, smelly mosquito repellents and sun lotions – as well as the health risks of the potentially toxic compounds contained within these substances – by wearing a mosquito hat or head net instead! Not only are they healthier, they offer more comfort and convenience for the user as well, with no need to re-apply lotions etc every few hours. These products are made from materials that are easy to clean and will survive multiple washes – as well as the elements of nature. 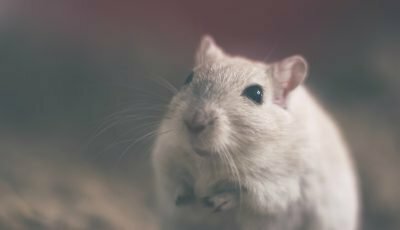 Because of this, they are probably a more cost-effective option than conventional insect repellents as well – since the latter have to be replaced at periodic intervals. First of all, you need to consider whether you want to buy a mosquito hat – including head net – or just the head net. On the face of it, the former is a better option since it effectively gives you two products in one, and is thus better value for money than a mosquito net on its own. If, however, you already have a sun hat that you are very happy with, and don’t want to replace – then a mosquito head net that has the right dimensions to be attached to it may be a better option for you. Size is another important feature of mosquito hats and head nets. Many of these products are advertised as ‘one size fits all’, however when choosing between hats and head nets you should always take a look at the dimensions and measurements specified on the product labeling. This way you will know for certain whether your mosquito hat or head net will fit your head. Next, you should consider what materials your hat or head net is made from. Most are designed from 100 percent polyester or nylon, quality materials that will stand up to the elements of nature over the long haul, are lightweight, easy to clean, and offer good air circulation and comfort for the user. 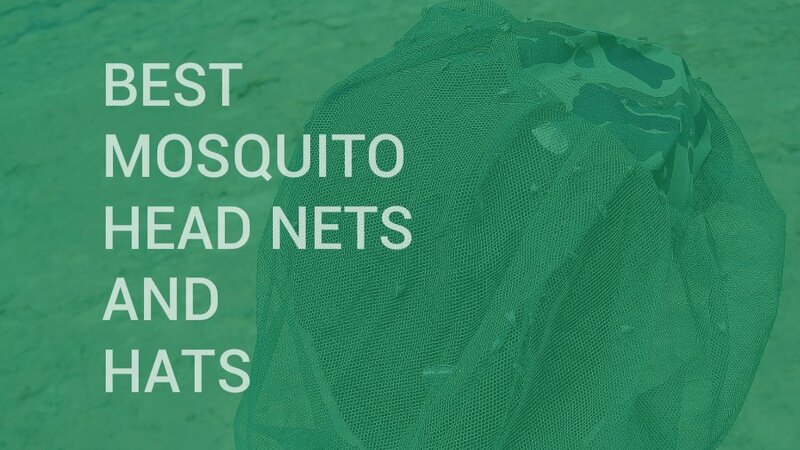 Visibility is another important quality to look for in mosquito head nets – even if your head net forms an impenetrable barrier between yourself and even the smallest of bugs, this won’t be much use if you can’t properly see through it when enjoying your outdoor activities. Because of this, you should always check the product specifications of your head net of choice to see whether it promises good visibility when wearing it – even better you should try the mosquito hat or head net on yourself before buying it. Finally, make sure to take a look at any warranties, product guarantees and other additional features that are included with your product. For example, some mosquito hats and head nets come with their own – free – storage bag or sack, which enables you to protect and easily carry your device around with you wherever you go. Having taken a look at mosquito hats and head nets, what they are all about, their many benefits, and the things to be considered in purchasing a suitable one for yourself – the time has come to review what in our opinion is the pick of what the market currently has to offer when it comes to these products. Without further ado, let’s look at some mosquito hats and head nets! 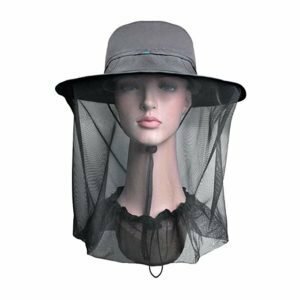 Protect yourself from both UV rays AND mosquitoes this summer – this Ushake anti-mosquito net hat enables you to kill two birds with one stone. Whether you enjoy camping, hiking, fishing or other outdoor activities – this is the product for you. It doubles up as a conventional sun hat and as a full head anti-mosquito guard. The 360 degrees brim will deliver complete protection to your skin against harmful UV rays. 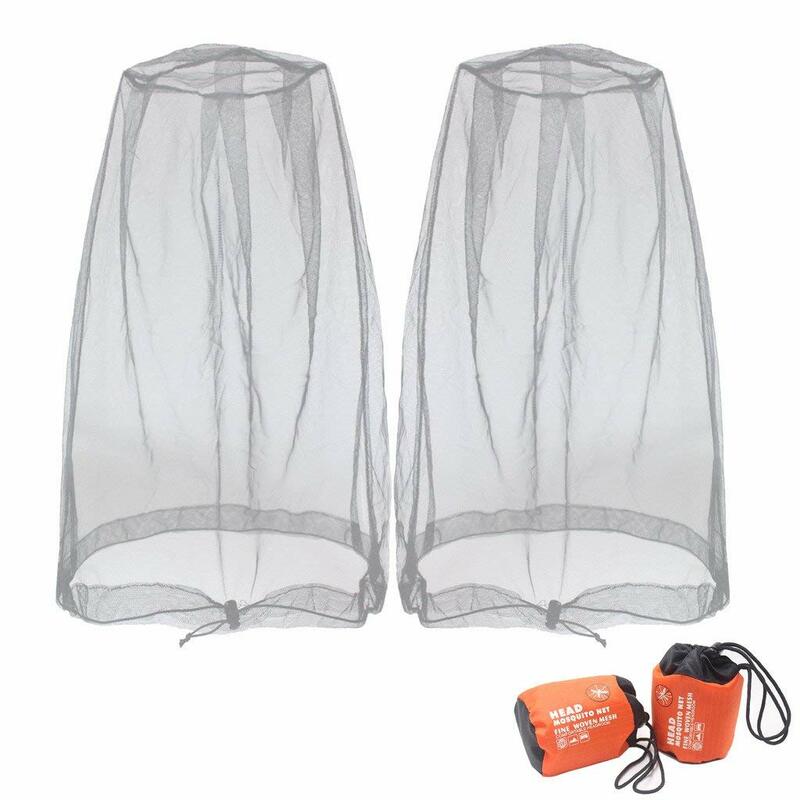 For the mosquito head net option, simply pull out the hidden mesh-net compartment at the top, and enjoy 360 degrees protection against bugs of all kind. With the ability to adjust it’s dimensions, this hat will fit most head sizes. This bug net hat is also made from nylon and polyester materials that serve as a natural insect repellent, enable excellent air circulation, and are super easy to clean as well (tip: this product is best washed by hand at temperatures below 86 F). Finally, this product is backed by a 100 percent ‘no questions asked’ money back guarantee. If you are in any way dissatisfied with your purchase, return these bug hats with netting the manufacturer, and get a full refund, no questions asked. Whatever environment you head out into this summer, with the Ushake mosquito net hat you will be well protected, both against the sun’s rays and those pesky bloodsucking pests. Well and truly recommended. 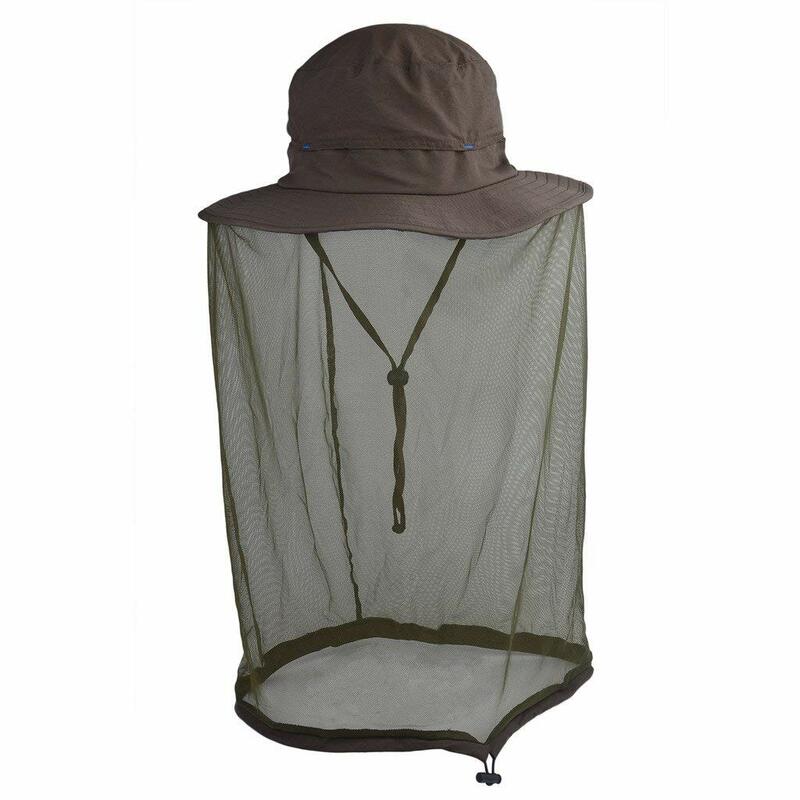 It is one of the very best mosquito net hat products out there on the market right now. Suitable for any outdoor activities, the Jetland mosquito net hat will allow you to enjoy the Great Outdoors this summer unmolested by mosquitoes, or by the sun. Whether it’s a camping trip, hiking expedition or a spot of fishing at one of your favorite haunts – this product will keep you well protected. The mesh netting is tightly woven so that it will keep out even the smallest of insects, but still enables you to see clearly, and also delivers good air circulation, thus maximizing your comfort. At 12.5 by 12.5 inches, it is a perfect size and will fit almost anyone children or adults. 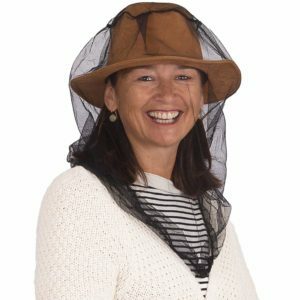 This anti-mosquito net hat also features an elastic neck that makes it super easy to put on and pull off and ensures it will sit tight no matter how windy the outside weather conditions. Spare yourself the risks, odor, and mess of laying mosquito repellent on your head and neck, and choose this fabulous product instead. Man, woman and child will be well protected from mosquitoes whilst wearing Jetland’s quality Boonie hat with mosquito netting, go out and grab a set for your family today. Suitable for all outdoor activities, fishing, camping, hiking – you name it This is a multi-purpose product! Whether it’s camping, hiking or fishing, this anti-mosquito net hat from Camo Coll will enable you to enjoy your outdoor activities without having your head eaten alive by mosquitoes. At the same time, your Bughat will shield you against the sun’s harmful rays. And all without any dangerous, messy and smelly chemicals. With its UPF 50+ rating, this 360 degrees brim hat delivers maximal protection against UV radiation. 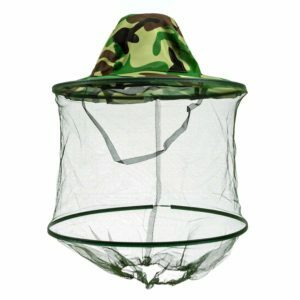 To access the mosquito head net, simply unfold the mosquito netting compartment and pull it over your face. Tightly woven, it will keep out even the most minute insects and mites of dust; at the same time, it delivers good visibility, comfort, and air circulation. Avoid spraying your face and neck with harmful, greasy insect repellent – this head net will deliver equally good results. Made from 100 percent polyester material, it’s super durable and lightweight, as well as being easy to clean. Simply fold it up and take it with your wherever you go. With a brim of 3.5 inches and a circumference of 23 inches, it’s suitable for almost all head sizes. This truly is a ‘one size fits all’ product. Finally, it features a chin strap with a cord lock so that it will sit securely on your head, no matter how windy it is outside. In short, this product from Camo Coll ticks all the right boxes, it’s one of the best anti-mosquito products available on the market today. Well worth the investment of your time and money. The folks at Flammi have really hit a home run with this anti-mosquito net hat of theirs’. This 360 degrees brim hat will keep you well protected not only against the sun’s harmful UV rays (it has a UPF 50+ rating), the mesh netting included with it will also keep out the mosquitoes, flies and other irksome airborne insects you encounter in your outdoor adventures. The netting is sewed into the brim of the hat, and can easily be unfolded and tucked away. The hat has a circumference of 23 inches, a crown depth of 4 inches, and a brim that’s 3 inches wide – plus it features an adjustable drawstring – making it suitable for any size of the head. It truly is a ‘one size fits all’ product. Made from 100 percent polyester material that is durable, and easy to clean, it also features vents that ensure good air circulation and comfort for the wearer. And although the mesh netting is woven very tightly, it is still easy to see through. 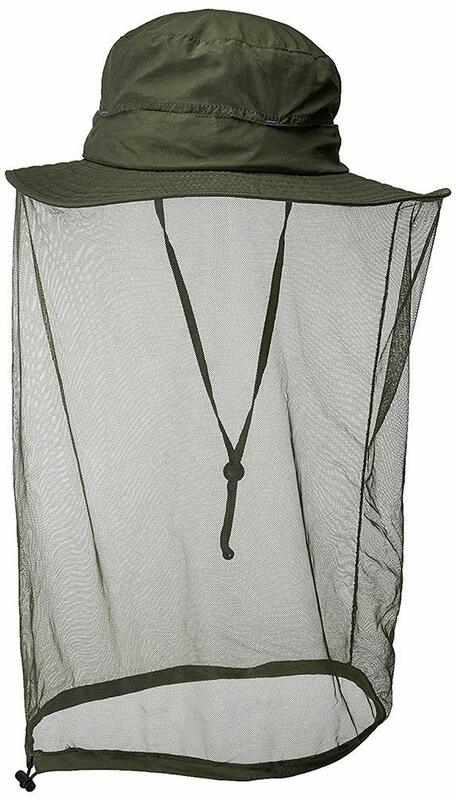 This mosquito net hat product comes in a stylish but unobtrusive khaki color. Keep you and your loved ones protected against mosquitoes and other airborne pests this summer, the Flammi mosquito net hat does it all. This hat has a circumference of 23 inches, a crown depth of 4 inches, and a 3 inches wide brim – plus an adjustable drawstring – that means it can be worn by almost any size of the head. It truly is a ‘one size fits all’ product. Lightweight and easy to pack up and move around – take it with you wherever you go. This fine offering from Lenikis is another quality anti-mosquito hat, it comes with. Whether it’s camping, fishing, hiking or other outdoor activities you enjoy, with this product you will be able to do so free from harm at the hands of the sun – and disease-carrying mosquitoes. It doubles up as a sun hat AND as a mosquito head net. And not a drop of greasy sunscreen or mosquito repellent needs to be applied to your face and neck. 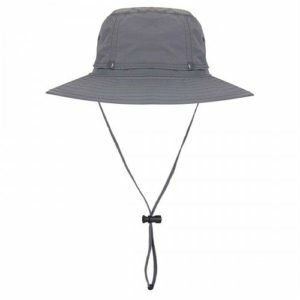 The hat is made from 100 percent polyester, 50+ UPF rated fabric which will keep out all of the sun’s lethal UV rays. Meanwhile, the in-built mesh netting of this Lenikis mosquito net hat will block out even the smallest of insects. Sewed into the hat’s brim, it is super easy to unfold, then pack away again. Though the fine mesh material is tightly woven, with only very small holes, it is still easy to see through and provides good air circulation. The elastic drawstring ensures a comfy fit around your neck. This product is lightweight, easy to clean, stain resistant and dries very quickly. The sweatband will keep moisture out of your eyes and make wearing this hat very breathable. At 22-23 inches, this hat will fit most sizes of head, and with the included chin strap, it truly is a one size fits all product. The guys at Lenikis have really hit a home run with this product of theirs’, it is one of the best anti-mosquito hats on the market today. Well and truly recommended. This is just about the best mosquito hat out there at the moment. 100 percent polyester material: lightweight, quick to dry and stain and water resistant. Ensure your family’s protection this summer – both from mosquitoes and from the sun’s scorching rays – with this fine offering from Lenikis. It doubles up as both a conventional sun hat – featuring UPF 50+ fabric that will keep the sun’s harmful UV radiation from scorching your face, ears and neck – and as a mosquito head net. To access the latter simply unfold the fine mesh netting sewed into the brim of the hat. With it’s finely woven design it will keep out even the smallest of bugs (and dust too), whilst the tiny holes will still ensure good air circulation and thus your own personal comfort. Visibility is also very good with this product. Another benefit of this Headnet hat is that it is made from a high-quality polyester material that is lightweight, easy to clean, and quick to dry. Spare yourself the mess and discomfort of applying mosquito repellent and sunscreen to your skin, and choose this hat instead for the ultimate outdoors protection. Lenikis is a fine manufacturer of these sort of products, and this particular offering of theirs’ is no exception. Well and truly recommended. 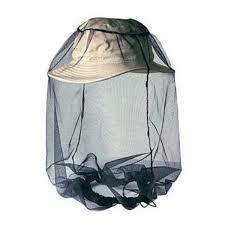 It is just about the best mosquito head net on the market at the present time. For the ultimate combination of protection, comfort, and durability – you can’t go past this mosquito head net from Benvo. Whether you enjoy camping, fishing, hiking, cycling, hunting or other outdoor activities – this product will keep you well protected from mosquitoes and other irksome insects. And absolutely no need to apply messy, greasy insect repellents and sunscreens to your skin! It has an exceptionally wide range of application! Woven from extra fine mesh so that no bug will get in, this mosquito head net still delivers good air circulation, comfort, and visibility for the user. And with a height of 18 inches and a bottom perimeter of 36 inches, this mosquito face net will fit most head sizes, adult, and child alike. Plus the neck drawstring built into the mesh netting will make sure it won’t blow off your head in a high wind. It’s made from a durable polyester material that will stand up to whatever the elements throw at it, and which is also easy to clean and quick to dry. Finally, it comes with a free storage bag so you can take your mosquito net with you wherever you go. 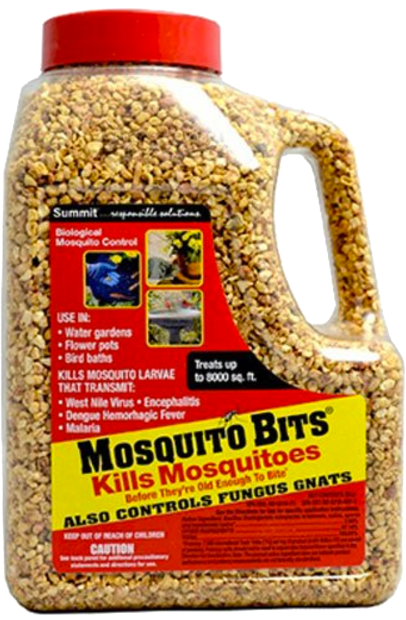 This product from Benvo’s receives the thumbs up from us, it’s one of the better anti-mosquito devices going around today. Go out and grab one of these mosquito head nets for yourself today, you certainly will not regret your purchase. 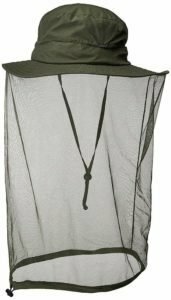 Anti-mosquito head net, keep yourself protected from insects whilst enjoying the Great Outdoors, and without having to resort to messy, smelly insect repellents. It’s almost the best mosquito head net out there on the market at current. Made from the durable polyester material, will stand up to whatever the elements hurl at it. Is easy to clean and quick to dry also. Very good air circulation as well – the user won’t feel a thing! If you enjoy fishing, camping, hiking and other outdoor activities – but are afraid of being eaten alive by both mosquitoes AND the sun when you head out into the Great Outdoors – then we have just the product for you. The Sea to Summit Mosquito Head Net offers an alternative to messy, greasy – even toxic – mosquito repellents. 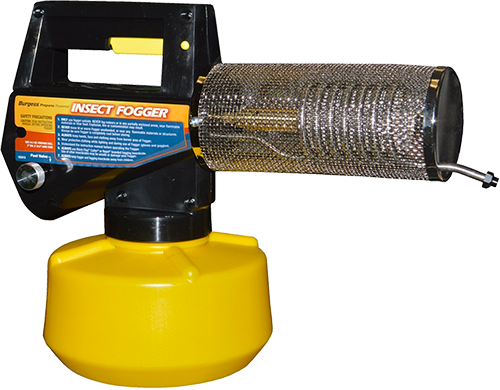 Simply secure it around your face, neck, and ears, and you will be shielded from those voracious insects whenever you head out into the great outdoors. It’s made from exceptionally fine, 500 holes per square inch mesh – so that no insect will make it past this mosquito head net. Despite that, your Seat to Summit bug head net still provides good air circulation and thus comfort for the user. It is also wide enough that you can wear it with or without a hat. The mesh netting of this mosquito face net is colored black, which offers better visibility than mesh which is colored white. 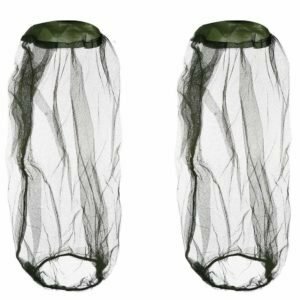 Made from the durable polyester material, this mosquito head net will stand up to the elements and is easy to clean also. Finally, it comes with a free stuff sack that includes elastic drawcord for storage. Keep you and your loved ones protected from mosquitoes this summer, and without having to lay a drop of mosquito repellent on your most sensitive areas. Highly recommended. The FSLIFE anti-mosquito head net is a real winner. Rather than plaster your face, neck, and ears with greasy, smelly insect repellent, why not simply cover those extremities with this mosquito head net? It fits snugly over most hats and headwear and is suitable for all outdoor activities, including camping, hiking, swimming or even just gardening in the backyard. The tightly woven mesh netting of this mosquito net clothing will keep out even the most minute of bugs, whilst still delivering good air circulation and visibility (the dark green colored mesh offers better visibility than white colored material). The elastic neck string of this FSLIFE head net will keep it fixed securely in place, even in the windiest and most inhospitable of conditions. Made from 100 percent polyester material, it is durable and long lasting and is super easy to clean as well. Whatever your occupation or preferred outdoor pastime, this mosquito head net is suitable for all of them. For performance, comfort, and versatility, you can’t go past it. Elastic neck string comes in handy, will keep it from blowing off your head in windy conditions! Last but not least in this review article, we have this fine offering from Coleman. Their mosquito head net is compatible with all types of headwear, but in particular with wide-brimmed hats of the type, you wear when spending long periods of time outdoors in the sun. Attach one of these netted hats to your hat when you go camping, fishing, hiking or any other outdoor activity you like to partake in. The fine mesh netting will form an impermeable barrier between your head and the voracious insects outside. At the same time, it still delivers good visibility and air circulation for the user. Made from 100 percent polyester fabric, the high-quality materials will stand the test of time, and what’s more, they are really easy to clean and quick to dry also. We’ve reviewed some pretty good mosquito hats and head nets in this piece, and this offering from Coleman is no exception. As an alternative to spraying your extremities with greasy, smelly insect repellents (that may be toxic as well), it can’t be beaten. It’s a great note on which to round out the article. Anti-mosquito head net will prevent mosquitoes from attacking your most sensitive areas whilst you enjoy the outdoors during the warmer months. It’s a fine alternative to chemical insect repellents. In this article, we have taken a look at mosquito hats and head nets, what they are about, their many benefits as an alternative to chemical means of insect control, and the things you need to consider in purchasing a device of this sort that is suitable for your requirements. We then went on to review what in our view are the best mosquito hats and head nets currently available for sale on the market – in the hope that the task of purchasing one of these devices for yourself and your family can be made easier. Happy shopping, and here’s to a summer that’s both mosquito and chemical free! All thanks to mosquito hats and head nets. 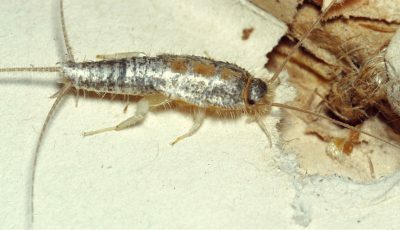 Orange Oil Termite Treatment: Is It Effective?